Is praying for an hour a challenge? Do you need new insight into dynamic prayers? Welcome to an adventure in praying. 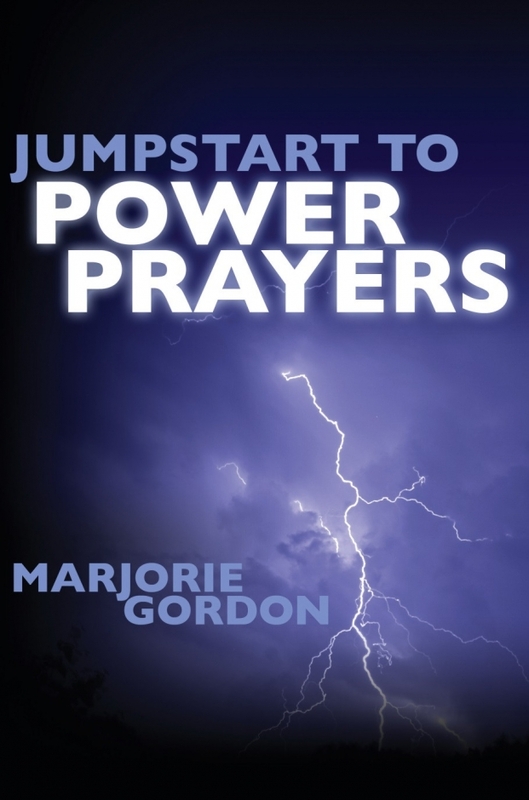 In Jumpstart to Power Prayers, Marjorie Gordon shows how to pray with more confidence and power than ever before. Saturated with Scripture, this how-to book presents powerful examples of the results of praying God’s Word in the lives of historical men and women and her own experiences. The book offers user-friendly uplifting reading. Even professed non-readers have reported how much they enjoyed it. Jumpstart to Power Prayers reveals patterns for prayer breakthroughs. Learn to use Scripture for prayer starters. Create a personal collection of prayer starters, your prayers and God’s answers. Marjorie is currently compiling some of her published magazine articles (and adding new material) to create a second book: Ready or Not, Here Comes Life. She includes personal experiences from 70 years of walking with God through “sunshine and shade,” true accounts of others on life’s journey, and practical suggestions for a happy life. Some of her stories bring smiles; others, tears. All show how God’s never-failing love and care lift those who seek Him high above the winds of discouragement. Bringing broken hearts to God results in healing and deeper truths. A recipe for laughter at home and at work. Looking “beyond the tinsel” shows in bold and subtle ways shows that Jesus is Lord. Seven important steps can help bring a child into a fruitful prayer life. Ten positive ways to help a grieving friend.